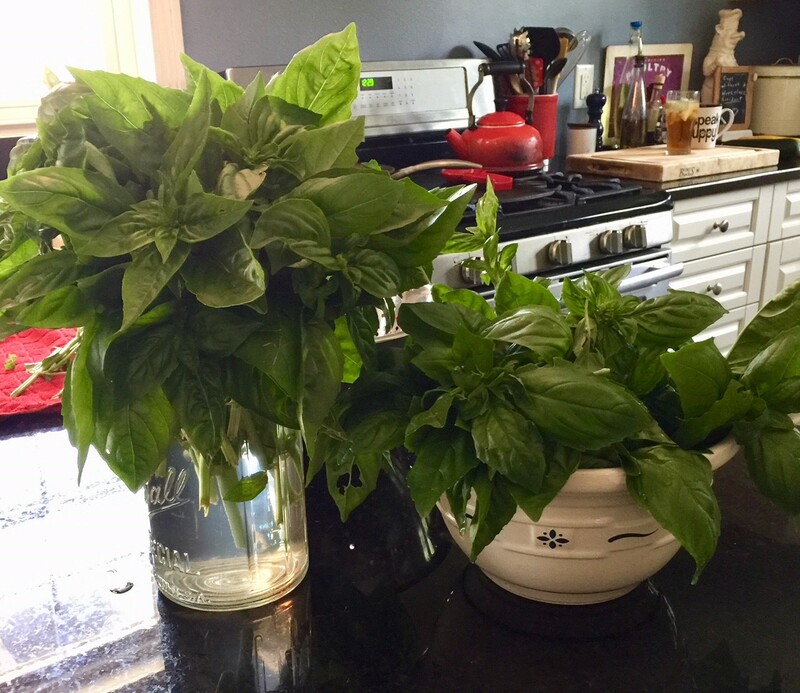 Because it has been ruthlessly hot and humid in Ohio this summer my basil plants are hulking out in the garden. 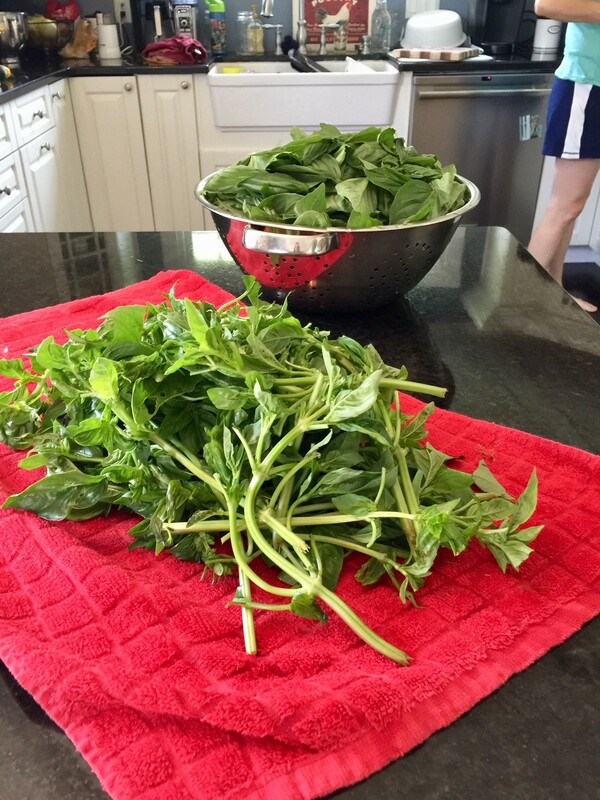 With this abundance of basil, I have no other choice than to make pesto. 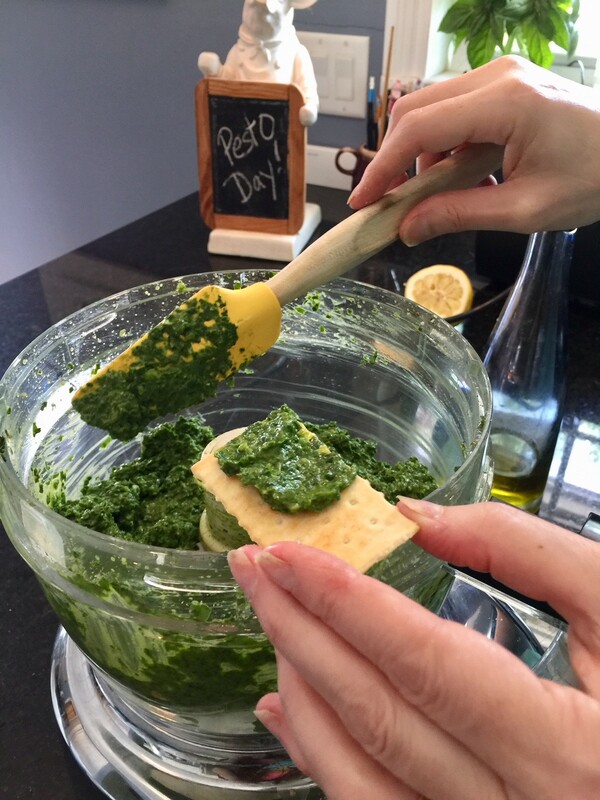 Pesto, that green, garlicky paste that makes pasta and bread sing with joy. I love it, but not that store bought crap, I have no idea how they keep that stuff green because real pesto will turn on you faster than an avocado on a hot day. 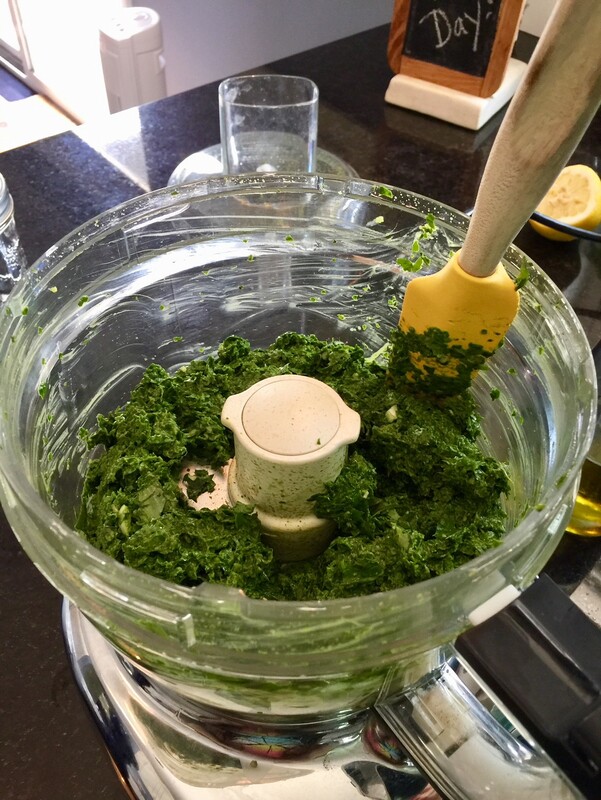 If your pesto doesn’t turn dark, almost black, green on the top once you open the lid, you need to question your sources. As you might have guessed, my cooking style is a little more freestyle than some may like, but you can’t argue with my results. 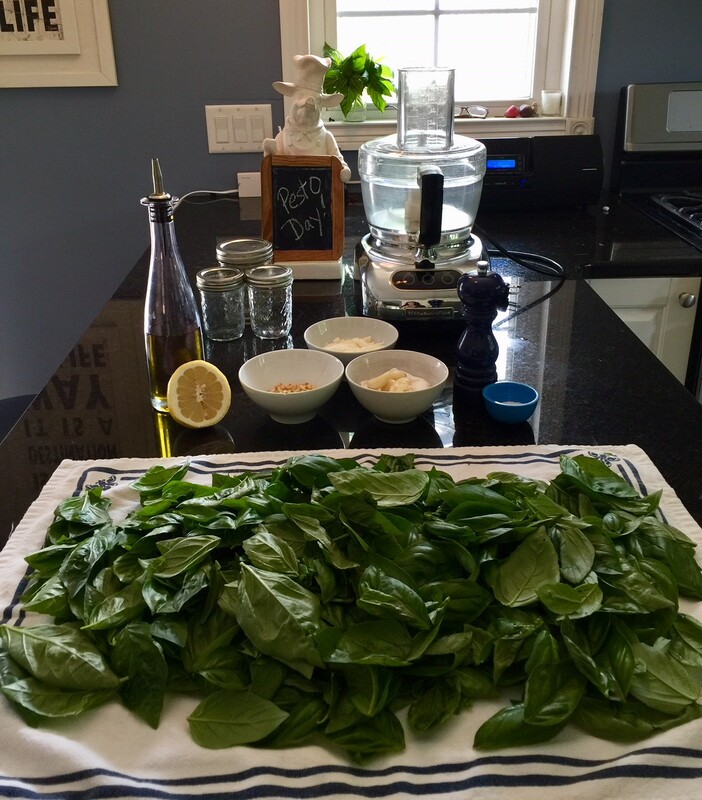 Here is a short tutorial on how we make Pesto, Mayhem style. First, you have to prep that basil. Pick the leaves off, put them in a bowl and rinse them off. Then, give them a ride in the salad spinner and lay them out on a towel. If necessary, gently roll the towel to get any excess water off. Once that little task is complete, it is time to get out the ingredients and equipment. I find it best to have it all ready up front because once you get started it goes pretty fast, unless of course you have skipped this step and find yourself rummaging around for garlic, or realizing you never toasted the nuts. Nuts- about 1/4-1/3 cup I used pine nuts here, that’s pretty old school, but almonds and pistachios work too. 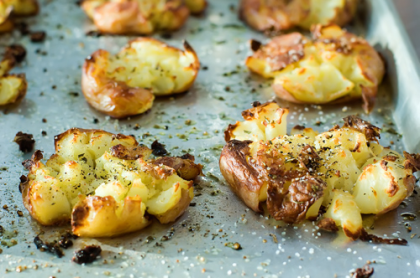 Toast them lightly in a pan and let them cool. 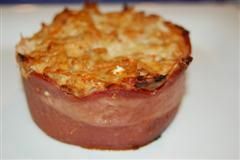 Salt & Pepper- to taste, I use about a teaspoon of salt and a half teaspoon of pepper. 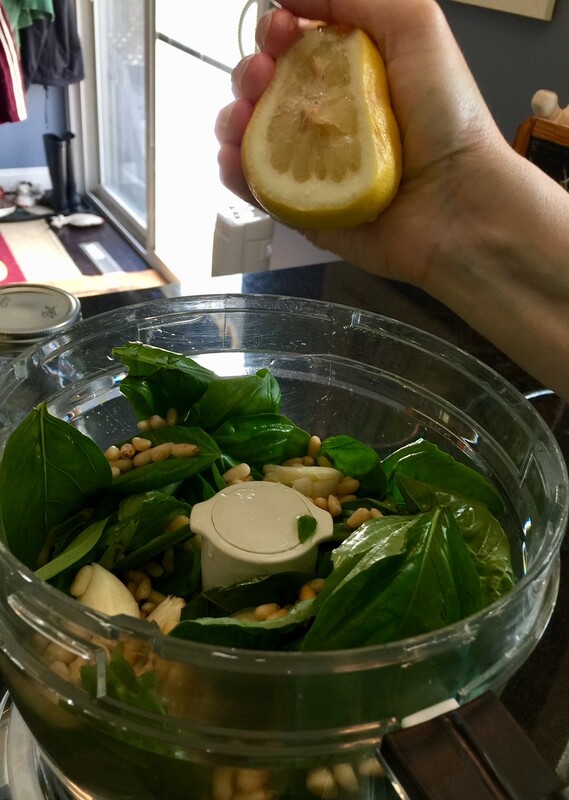 Lemon- I use half a lemon, unless it’s little or dry, then use the whole thing, or get a better lemon. Olive oil- quite a bit, have 2 cups ready, you probably won’t need it all, but better safe than sorry. OK, ready people, let’s get our food processors or blenders out and let the mayhem commence. 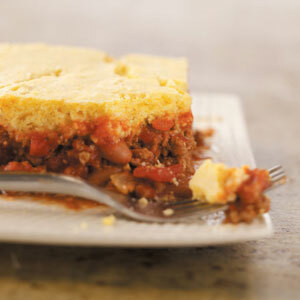 Put your basil, garlic, nuts, lemon juice, salt and pepper in and pulse until the paste begins to form. Then scrape down the sides of the bowl. 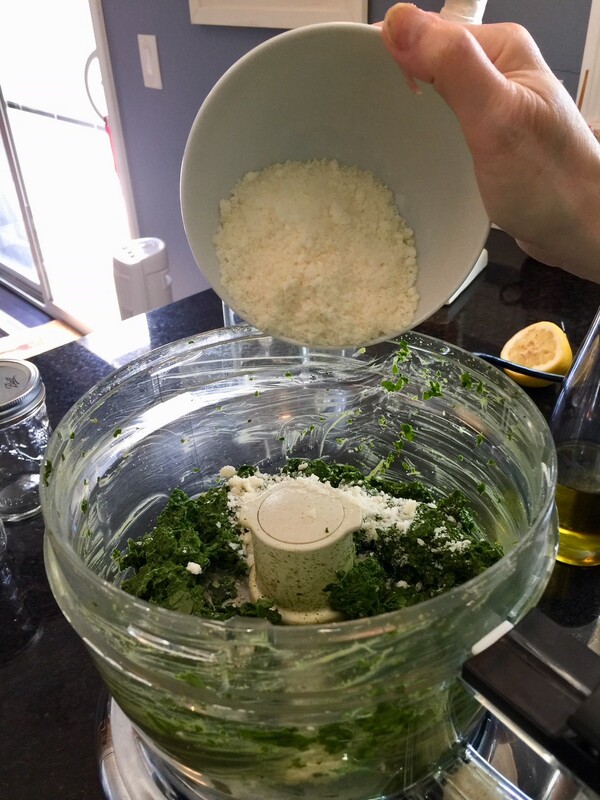 After the initial pulse, you can start adding the olive oil, a little at a time until the paste starts to loosen up, then stop and add the cheese. Lock it all down again and run the food processor again adding more oil until the consistency seems about right. Then stop. Now this is a crucial, you must test it on a cracker, or at least that’s how it goes down in our kitchen. There are people who will have the audacity to suggest this step is not necessary, these particular people are not your friends, ignore them. Later, you will need to find better friends. Once you have enjoyed yourself a cracker, or possibly a sleeve of crackers, adjust your seasonings. Another squeeze of lemon or a pinch more salt may be in order, it’s totally up to you cause you are the boss here, take orders from no-one. Once it meets with your approval, jar that green gold up and pop it in the fridge if you plan to use it in the next week or so. Alternatively, you can freeze it and pull it out on a dreary cold day and remember all the fun we had today making pesto together. 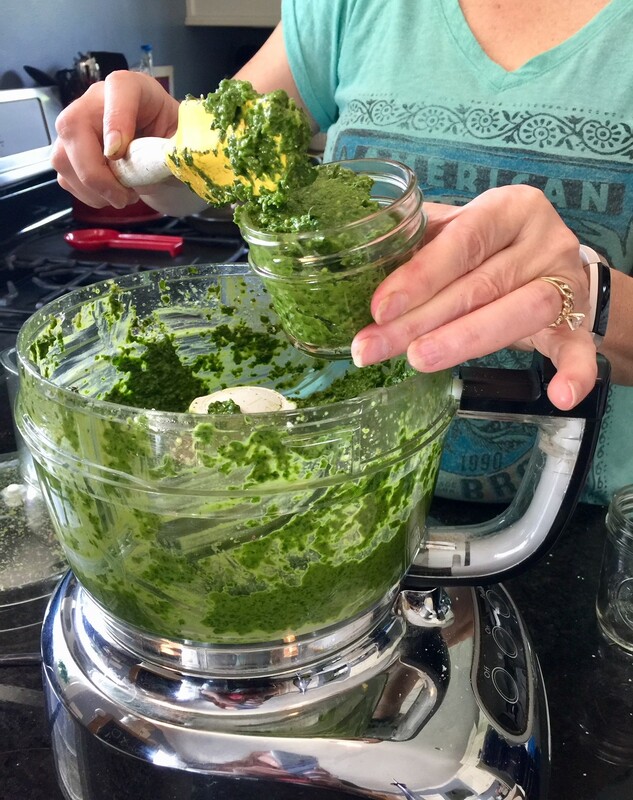 Got any pesto tips or stories to share? I would love to hear from you in the comments below.